If you forget to use commas (or are the unfortunate subject of a cover story edited by Cro-Magnons), snide bloggers will tell the world that you like to eat your family and your dog. An embarrassment no matter how expertly prepared the meal. 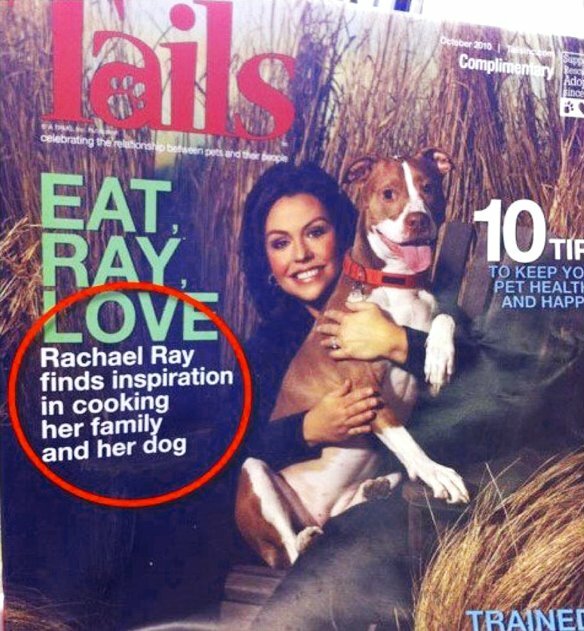 This entry was posted in Write and Wrong and tagged commas, editors, magazines, punctuation, rachael ray. Bookmark the permalink. Can we fwd this to someone at the magazine? Id love to hear the apology ! !